How often do you go somewhere you’ve never been before? In a month, how many times do you travel overseas, or into space? For free? When did you last fly anywhere without having to sit in a plane? Or step into the shoes of a medieval queen, a trainee wizard, a nineteenth-century detective? Some of you might visit a travel agent to book the trip or experience of a lifetime. But actually, there’s somewhere you can go that’s much closer and cheaper: straight to your local library, and into the pages of a book. No matter your age, if you can read you can travel, you can fly, climb mountains, vanquish dragons, solve murders, and be an armchair expert in espionage, or spells, or string theory. And you can have conversations with your family, friends and total strangers about what it means to be human. And not just fiction, but poetry, plays and non-fiction. All these different worlds are right on the doorstep, because there’s a portal right in your neighbourhood to imaginary planets, time travel, mythic lands and teeming cities; to the edge of dangerous missions and heroic quests; to people you’ve never met, yet (strangely) you know almost as well as yourself. This portal is your local library. ‘It’s a community space. It’s a place of safety, a haven from the world. It’s a place with librarians in it … Libraries really are the gates to the future’ - Neil Gaiman, bestselling children’s and adults’ author. Young or old, appreciation of literature is one of the most rewarding gifts you can give to yourself. 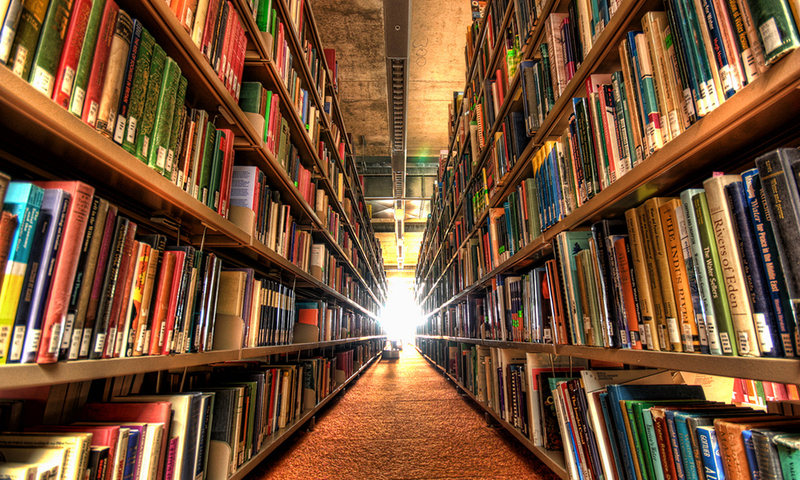 When did you last lose yourself―and find yourself―among the magic of your library’s shelves and stories? If you are a parent, ask yourself: is the library up there with the beach or the sports oval as one of the most important places for your kids? If you are a kid, are you aware that your library card is the key to limitless ideas, entertainment, creativity and experiences? It’s also the key to freedom, for, as Gaiman observes, ‘freedom to read, freedom of ideas, freedom of communication’ is what libraries are all about. Freedom―and books―need to be protected and maintained, however, and librarians are the highly trained and skilled individuals who do that day in day out. They make sure libraries are welcoming to all, and that libraries contain everything that will make us fall in love with reading and literature over and over again. Does this sound like your local library? Are your librarians like this? Why not pay your library a visit and find out?